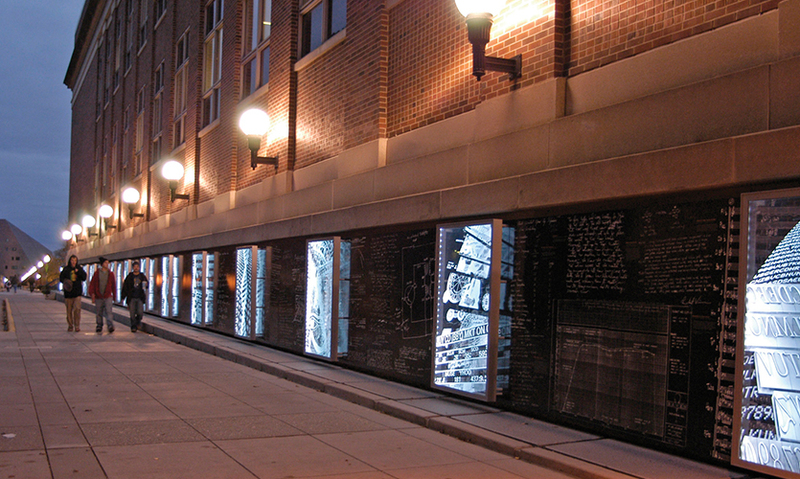 Meant to be multi-dimensional and absorbed over many viewings, the Wall of Discovery is a 253-ft.-long illuminated “blackboard” along Scholars Walk on the university's Minneapolis campus. 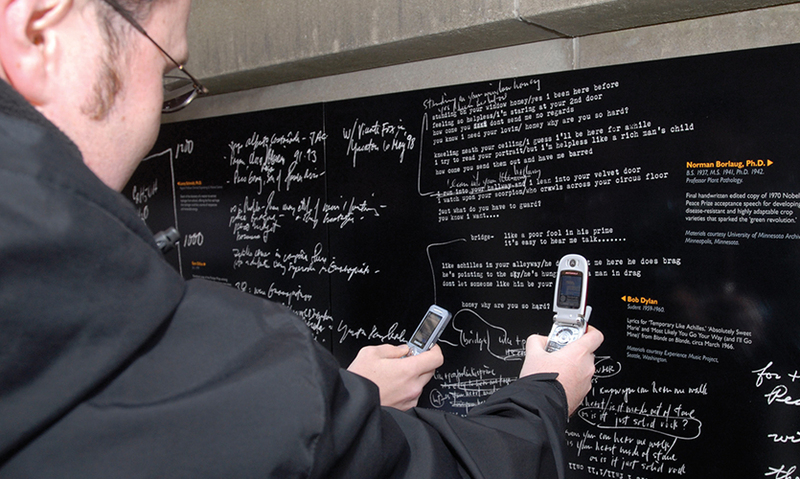 The wall tells the scholars' stories through a series of their personal notes, sketches, diagrams, and drawings on the blackboard surface under edgelit, etched-glass panels. LA ink was responsible for the project's extensive research, design, and project management, and worked with a list of more than 200 scholarly achievements. Document acquisition and coordination of permissions from scholars and their heirs was a major undertaking. More than half of the documents came from outside the university. 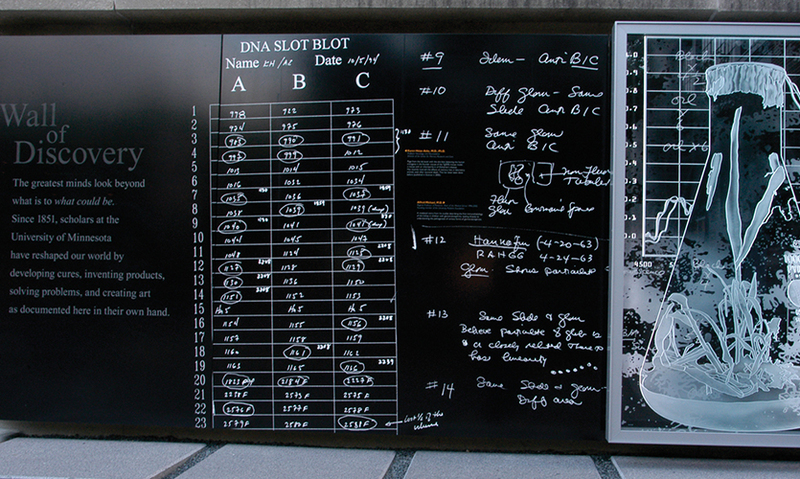 LA ink designed the “blackboard” with graphics electrostatically imaged using Scotchprint materials and printers, then adhered to high-strength aluminum sheet stock to eliminate deflection. 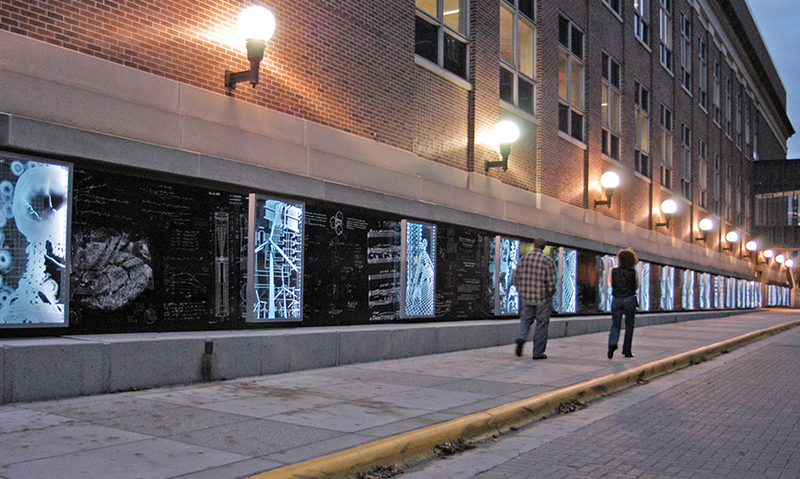 Over the blackboard graphics, edge-lit glass panels feature abstract images etched and carved onto the back side, away from dirt and vandals.